Walmart wants you to party like it’s 1990-something: they’re selling the PlayStation Classic for the super-low price of $39.99. That’s the cheapest we’ve ever seen it in the US, so if you’ve been tempted by its blend of slightly blocky gaming nostalgia, now’s the time to get involved. Amazon UK has also slashed the price of the remade PS1; it’s reduced to £49.97 there. This is an astonishingly low price for a retro console and is well within impulse-purchase territory. And just in time to surprise yourself for Valentine’s by getting it...for yourself. 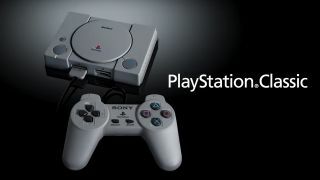 It’s got flaws, but we were quite taken with the PlayStation Classic in our review; while it’s a “strange mix of joy and disappointment” due to technical limitations and an odd lineup of games, it’s got enough classics (ranging from Grand Theft Auto and Final Fantasy VII to Resident Evil Director's Cut) to keep you happy. At 40% smaller than the original console, this is a dainty ode to the one that started it all. What’s more, it also comes with 20 games, new features like the ability to ‘suspend’ up to 15 games at once, and two wired controllers for co-op play. All this and a mountain of nostalgia for $40? That’s probably worth a look. For more PlayStation bargains, drop by our guide to the best cheap PS4 game deals.